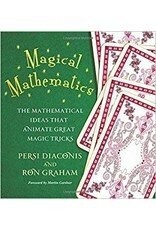 Magical Mathematics reveals the secrets of amazing, fun-to-perform card tricks--and the profound mathematical ideas behind them--that will astound even the most accomplished magician. Persi Diaconis and Ron Graham provide easy, step-by-step instructions for each trick, explaining how to set up the effect and offering tips on what to say and do while performing it. Each card trick introduces a new mathematical idea, and varying the tricks in turn takes readers to the very threshold of today's mathematical knowledge. For example, the Gilbreath Principle--a fantastic effect where the cards remain in control despite being shuffled--is found to share an intimate connection with the Mandelbrot set. 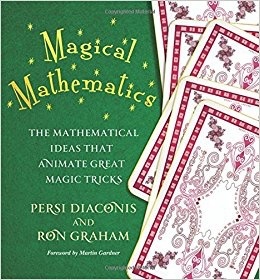 Other card tricks link to the mathematical secrets of combinatorics, graph theory, number theory, topology, the Riemann hypothesis, and even Fermat's last theorem.